Although Star Wars fans had thought they had seen the last of Star Wars The Clone Wars on TV, the show may be once again on their screens very soon. 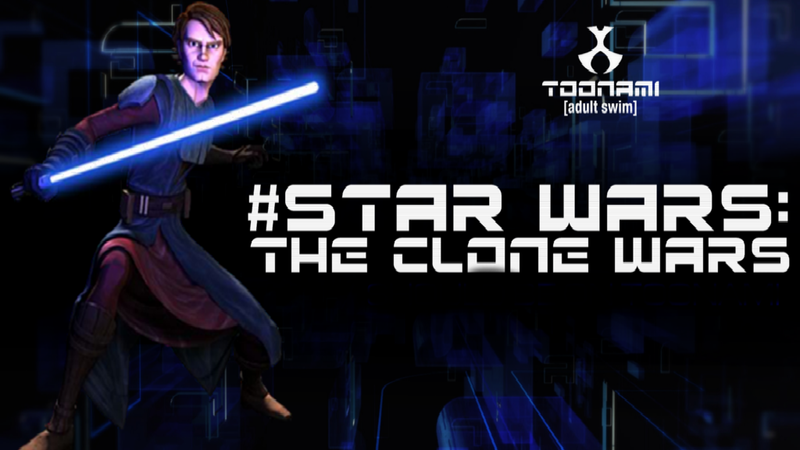 Toonami, the famous (then cancelled then brought back) "network" on Cartoon Network focused on Saturday night anime, has recently announced through their Tumblr page that they have recently picked up Star Wars The Clone Wars. The show will be replacing "Eureka 7" which will end the week prior. From what we can tell, Toonami will not be playing each episode in order and will play episodes that are more action-oriented and not boring senate episodes or "kiddie episodes". So if you've seen the show, a little more "Darkness on Umbara" and a little less "Bombad Jedi", and for those of you who have not seen the show, watch "Darkness on Umbara" and you'll see what I mean. 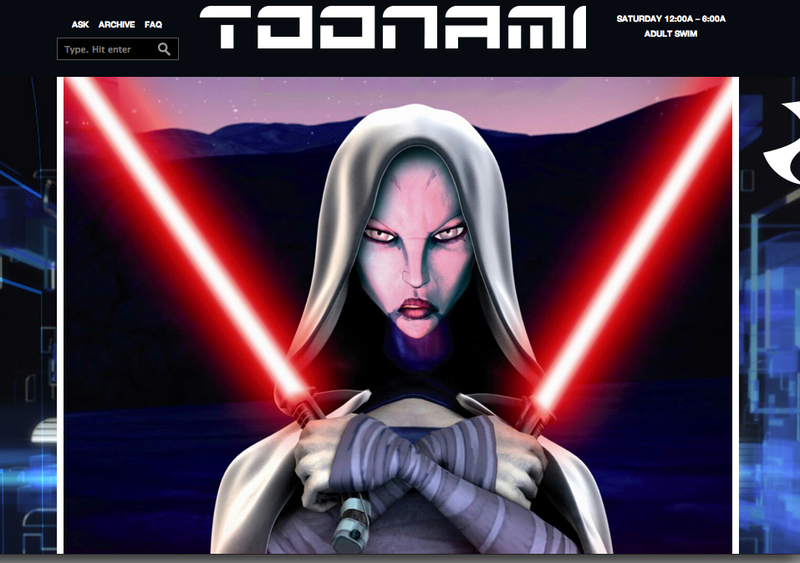 1) Toonami airs from about 12am-6am, so the core audiences consist of older teens and beyond. 2) This is not the first time that Cartoon Network has tried to air Clone Wars on something other than it's main network. Adult Swim attempted to play each episode in order-with disastrous results, barely making it out of the very shaky first season. According to theouthousers.com, Toonami has also stated that they have been trying to get the unaltered, unedited, directors cut episodes in their original 2.35:1 aspect ratio. They are also attempting to get their hands on the unaired bonus content that was meant to be the sixth season of the series. At this time, no time block is set for the series, but a release date has been announced.